Document Scanning for Document Management and Records Management systems. Documents may be scanned for Indexing into Alliance Imager document management or Alliance PaperChase records management or saved into a Windows folder. Alliance BatchScan scans paper documents and saves them as multi-page TIFF files, or as PDF (Acrobat) image files or PDF/A archiving format files. Scanned images are displayed on screen as they are being scanned as a visual check, and facilities are provided to rescan a page or the whole document, to add pages, to insert pages or to delete pages. Users may select whether to scan a batch of pages as one document or as a series of 1 or 2 (or more) page documents, or a page separator may be used to indicate where a new document starts in the batch. A3 scanning, colour scanning, duplex (double-sided) scanning, high-speed scanning or high resolution scanning are all supported, subject to the capabilities of the scanner. Reading of 1D barcodes on the scanned documents is also supported, including Code 39, Code93, Code 128, EAN and UPC. Optionally 2D barcodes may also be read. With the optional OCR (Optical Character Recognition) component, BatchScan can read the text on each page and create PDF Searchable files or other text formats. A wide range of Twain compatible scanners are supported, including models from Kodak, Fujitsu, Canon, Panasonic, Xerox and Bell & Howell. An Automatic Document Feed (ADF) or sheet-feeder allows a pile of documents to be scanned (all must be in good condition and unstapled) and is normally required for use with Alliance BatchScan. 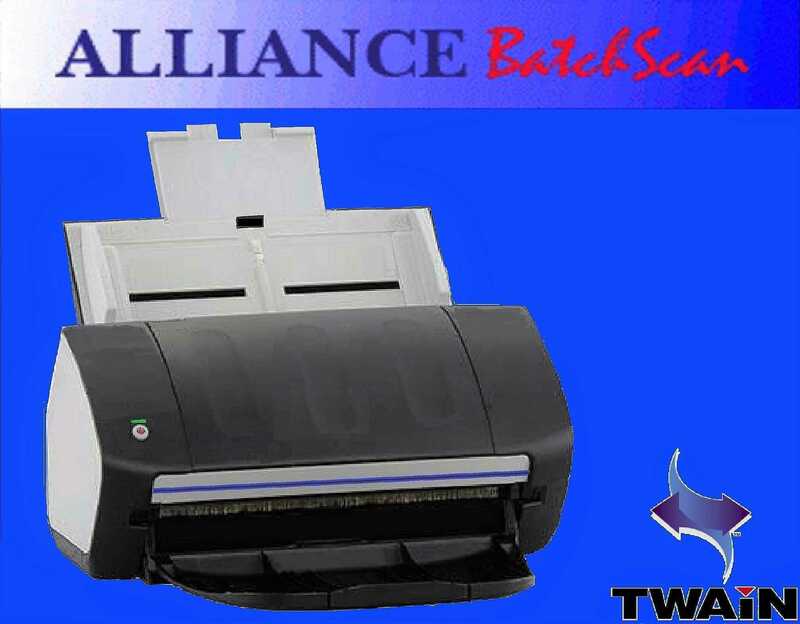 Scanners of various speeds are supported by Alliance BatchScan:- 10-15 pages per minute is usually the minimum acceptable speed, mid-range scanners typically scan at 20-45 pages per minute whilst production scanners scan at over 50 pages per minute. 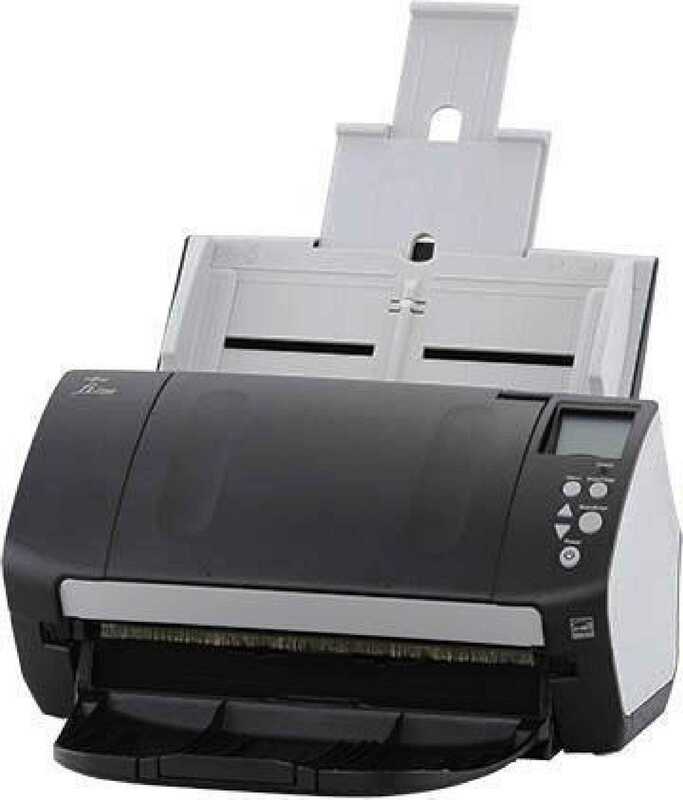 Scan speeds are available to 120 pages per minute or more. New regulatory compliance requirements have dramatically increased the need for companies to implement secure and reliable records management and document capture solutions. Low volume production scanners are ideal for document management in small to mid-volume applications and may also be used to complement higher volume products in distributed scanning settings. Document capture solutions have become essential to meet the everyday document imaging needs of businesses in the finance, insurance, healthcare, transportation, education and many other markets. Scan to multipage TIFF, PDF, PDF/A & PDF Searchable files. Efficient graphics handling and display. Page insert, replace, delete, append functions. Anti-alias (scale-to-grey) for enhanced image rendition. Page browsing, (next, prior, first, last). Image rotation, inversion, scaling, fit-to-window, scrolling. Optional Optical Character Recognition (OCR). Fujitsu fi-7140, fi-7160, fi-7180, fi-4120, fi-4220, fi-5110c, fi-5120c, fi-5220c, fi-6130, fi-6230, fi-6140, fi-6240, fi-4340C, fi-4530C, fi-5530C, fi-4640S, M4097, fi-5650C, fi-5750C, fi-4860C, M4099, fi-4990C, fi-5900C. Alliance BatchScan software scans your paperwork and saves the resulting industry standard TIFF or PDF images to disk for subsequent indexing and retrieval. or records management applications such as Alliance PaperChase and can scan and index the scanned documents.